We were obsessed with these two the moment we met them! 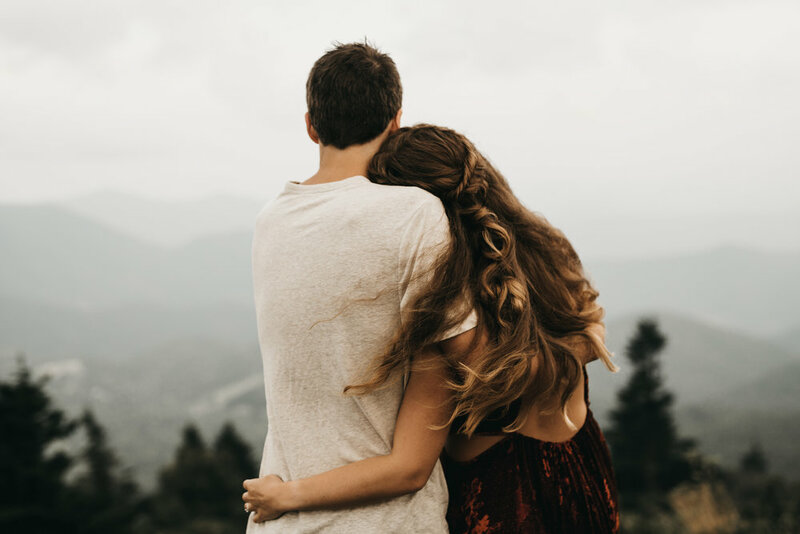 They chose to have their engagement photos taken at Roan Mountain, and it was literally everything. Southern Sirens did Alison's hair and makeup, and she wore the most gorgeous Free People dress. It rained for a total of five minutes while we were exploring up on the mountaintop, and then the most beautiful fog rolled in. The wind was blowing in Alison's perfect hair, and it all added up flawlessly to create the kind of intimate, adventurous photos they wanted. We honestly couldn't have asked for anything better!